The stand up personal watercraft is iconic. Depicted in video games and movies as the ultimate fun machine, it’s rise in popularity peaked in the 90’s. 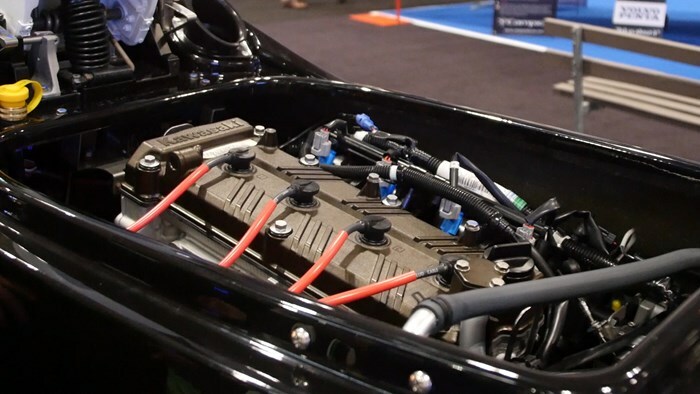 However for various reasons not worth getting into, the popularity of the stand up has declined in the new millennium, resulting in many manufacturers including the iconic Kawasaki Jet Ski, to halt production… Until now. 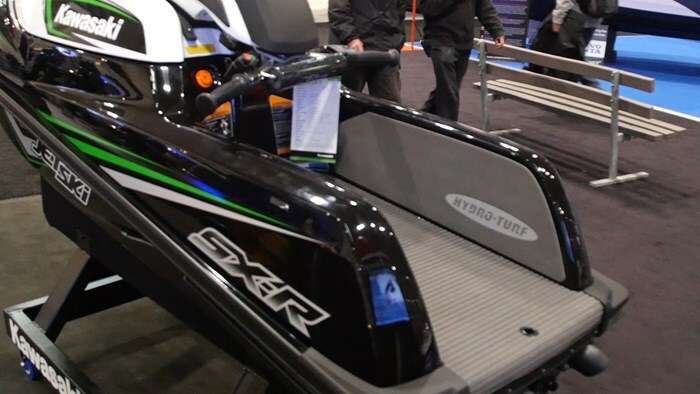 2017 is the year of the rebirth of the stand up Jet Ski for Kawasaki with the introduction of the all new SX-R.
First of all it is worth mentioning the brand power of “Jet Ski.” In a lot of the United States, all PWC’s are referred to as jet skis, much like cotton swabs are often call Q-Tips, even though both are brands, and not classifications of products. But what this does show, is tremendous brand penetration through all segments, and Kawasaki has a strong hold in both the stand up and sit down segment. Now one thing this SX-R is not, is another “me too” as Kawasaki made sure to bring the stand up back in a big way. 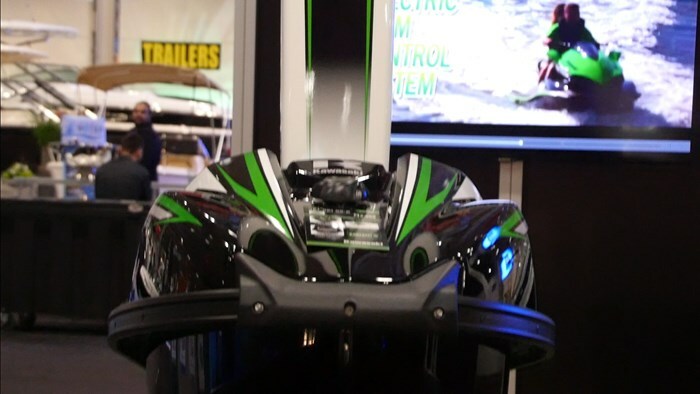 With a 1500CC, Four Stroke powerplant, this is the most powerful production Jet Ski ever released. In doing so, Kawasaki has caught the attention of the purists, as they are already sold out of orders as of right now (January 2017.) This is a good problem to have and it also shows that the interest in the stand up market is strong. That power is harnessed through an all new 3-blade, stainless-steel impeller that will deliver white knuckle acceleration along with wallet conscience efficiency. The long list of new features continues with an all new V-shaped hull that harnesses this performance that totes hair raising agility along with incredible straight line performance. 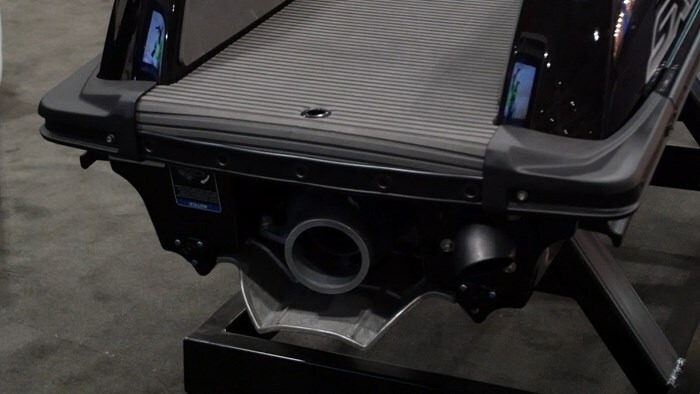 This new hull happens to be lighter as well giving it one of the best power to weight ratios in all of boating. As you can start to see, there’s a reason why the SX-R is filling up the order sheet. But what I am also seeing is a watercraft that’s perfect for those looking to get into a new watersport. Four Strokes deliver predictable power that’s easy to harness, so newbies shouldn’t shy away. That and the SX-R has a new, larger deck that’s wider, which will be perfect for riders of all shapes and sizes giving you enough room to ride from your knees until you’re ready to stand up and harness the true potential of this machine. 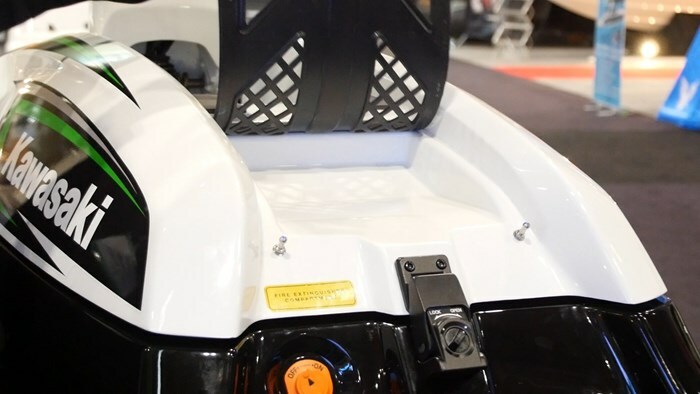 Engine access is easy as the handle locks into the “up” position and a single panel removes, revealing this new power plant. This will make maintenance easy, and it will cause those who love to MOD their machines to salivate. Although with that type of power already, I’m not sure why you would need to. The handle itself feels comfortable and should reduce rider fatigue and convenient features like low fuel and system warning lights are located there as well. There is a small items tray located forward of the deck, but it’s not waterproof so any important items should be dealt with accordingly. It’s a stylish machine that has sleek lines that will draw attention even when sitting still. 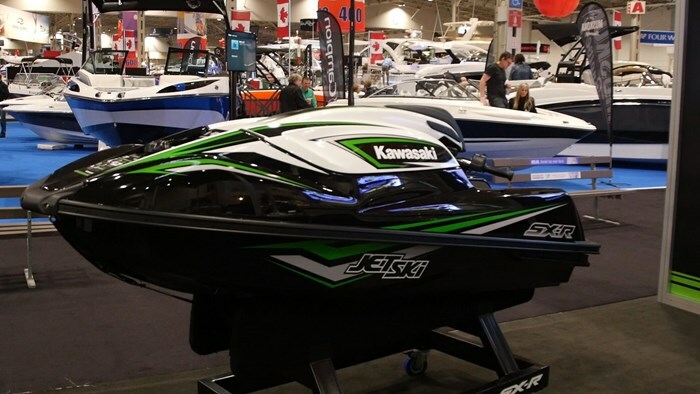 While going over the SX-R at the Toronto International Boat Show, one of the Kawasaki brass told me that it shared the same design lines as one of the industrial bullet trains. A resulting google image search confirmed this as it has sweeping fender lines that affirm speed and power. I lamented in the fact that it was the end of January and not the end of June while reviewing this product as I myself was salivating at the opportunity to get out and put the rebirth of stand ups to the true test. We were however promised a first look when the ice disappears so keep your eye on the site for that update. In the meanwhile, you might as well get yourself on that wait list.